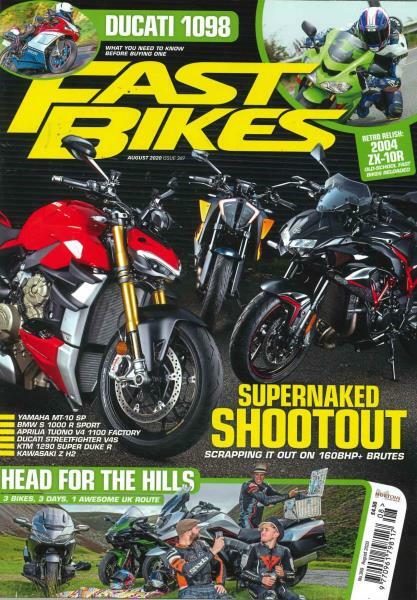 Fast Bikes is the UK’s best-selling superbike magazine. Buy a single copy or subscription to Fast Bikes magazine. Followed by £44.99 every 12 months by direct debit. Each issue gives you definitive performance bike tests and features to help you be a better rider, modify your bike, know your legal rights better, see all the latest kit and find out what’s hot. Plus insider news, behind-the-scenes race features, an invaluable monthly Used Buyer’s Guide and exclusive columns from current MotoGP, World and British Championship racers, managers and the irrepressible Steve Parrish. In depth insider news, behind the scenes race features, practical and usable advice in the Riding, Bike and Legal Masterclass sections, and exclusive columns from current MotoGP, World and British Superbike racers - plus the irrepressible Steve Parrish’s back page column.